"It’s not enough to have feathers. You must dare to fly…"
Add a touch of glamour to your bridal gown with this stunning bridal feather bolero. A short cropped style that sits high up at the back and just covers the shoulders, styling this piece is utterly effortless. 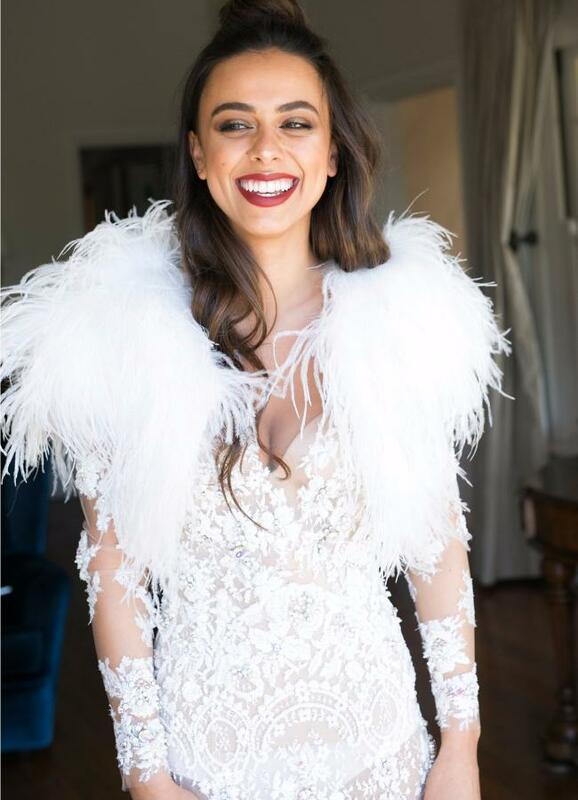 With a satin lining on the inside of the garment, and covered in the softest of marabou feathers, you will look and feel glamorous wearing the Ostrich Bridal Feather Bolero. Better yet, this bolero can become a perfect layering piece to wear throughout winter over a jacket, or styled with a dress in the warmer months. Designed to be worn open, sitting delicately across the shoulders. Fits true to size, however we suggest ordering up a size for those with broader shoulders. 100% marabou feathers with satin lining.